There has been a rapid increase in the interest of safe complementary and alternative approaches to healthcare in pregnancy and childbirth. 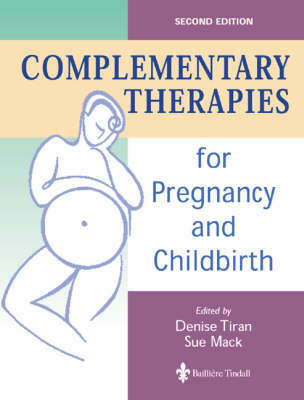 For those working in maternity care who seek the evidence base for therapeutic approaches, this book offers a comprehensive guide to the principles and practice of complementary therapies, and their application to expectant and new mothers and their babies. Features: >History and background are given for each therapy, using a specific midwifery perspective >Contraindications & appropriate conditions to treat are specified >Up-to-date research is included - as more research is available than ever before the midwife has to be able to make assessments based on evidence in the rapidly evolving field of contemporary therapies >Legislative & professional conduct issues are covered, putting the information into a clear midwifery context & giving guidelines to enable the midwife to deal confidently on Chiropractic, Hypnotherapy, Bach Flower Remedies, Alexander Technique. Contents: >Homoeopathy (Bridget Cummings) >Osteopathy (Penelope L Conway) >Chiropractic (Tone Tellefson) >Acupuncture (Sarah Budd) >Herbal Medicine (Helen Stapleton) >Massage & Aromatherapy (Denise Tiran) >Reflexology (Denise Tiran) >Shiatsu (Elise Johnson) >Hypnotherapy (Fiona Mantle) >Hydrotherapy (Dianne Garland & Denise Tiran) >Complementary therapies for the relief of physical & emotional stress (Sue Mack & Dianne Steels) >Other therapies - Bach Flower Remedies (Fiona Mantle), Alexander Technique (Sue Mack) >Conclusion >Appendices-quick reference chart, useful addresses.